William Blake summarized much about the tiger by saying, “Tiger, tiger, burning bright in the forests of the night, what immortal hand or eye dare frame thy fearful symmetry?” Tiger symbolism is fiery and fearsome, so much so that Blake ponders how powerful a Divine being would need to be to fashion such a creature. Metaphysical imagery frames the tiger as being tied to the will, strength , aggressiveness and bravery. On a more positive note, when you keep seeing tiger images in your life it acts as a powerful reminder of overcoming obstacles and fears by reclaiming your place of power. Tiger imagery represents the ability to manage strong emotions more effectively. If you find these images unnerving, it may be a signal that you feel hunted or threatened by a person or situation and need to face it head on. When Tiger comes to you as a Spirit Animal treat this with the utmost respect. Tiger will teach you patience – when to move, when to remain still and in the end experience a successful “hunt”. Tiger will not let you plan things willy-nilly, nor will he let you procrastinate when the Path is already clear for that next great leap. 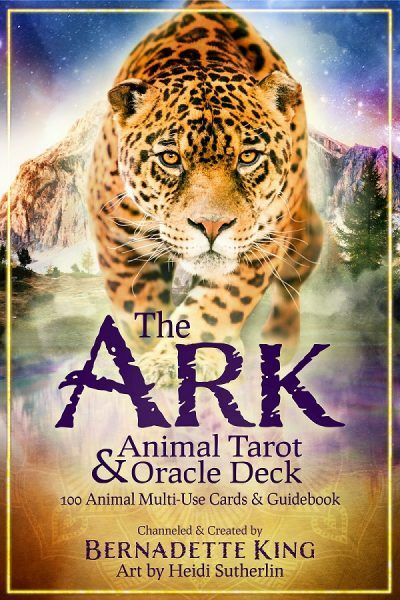 Additionally in terms of spiritual growth Tiger offers you incredible strength. Sometimes the Universe uses tests as learning tools. These can weary the spirit of the traveler but Tiger stands ready to lend a powerful paw that keeps you going. Tigers are known for their amazing bursts of energy in the wild, and you can tap that for any challenge you face. People with a Tiger Spirit Animal often yearn for adventure, and they can stare down a statue! There is little that can stand in Tiger’s way when it wants something. The caution here is avoiding a selfish agenda. This typically happens early in the spiritual relationship. As you mature with Tiger, that temptation comes under greater control. In the meanwhile use a chrysoprase crystal to help. If your spirit animal is a Tiger your relationships and sexual expressions are very intense. You love fully and have a strong desire to parent. Female tigers revel in their motherhood roles and keep their young close for lessons. If you know someone who has Tiger as their Totem Animal, they can assist you in times when you feel a bit lost, particularly morally or ethically. Tiger people have an independent streak – and need periodic alone time even if their partner understands them completely. Wild Tigers have excellent night vision. This means that a Tiger Totem’s spiritual effects improve at night by the light of the moon, particularly if you’re working on various forms of psychic abilities. Tigers, like other cats, also respond deeply to touch, meaning those with the Tiger Totem are likely very adept at psychometry. Carry a Tiger Totem carving when you hit the road looking for adventure! This is particularly useful for the globetrotter wanting to immerse themselves in other cultures with all the ideas and flavors they offer. The fact that Tigers have excellent hearing makes this experience all the more fulfilling as the small things that others might overlook, you’ll catch on the edge of your awareness with Tiger totem as an ally. 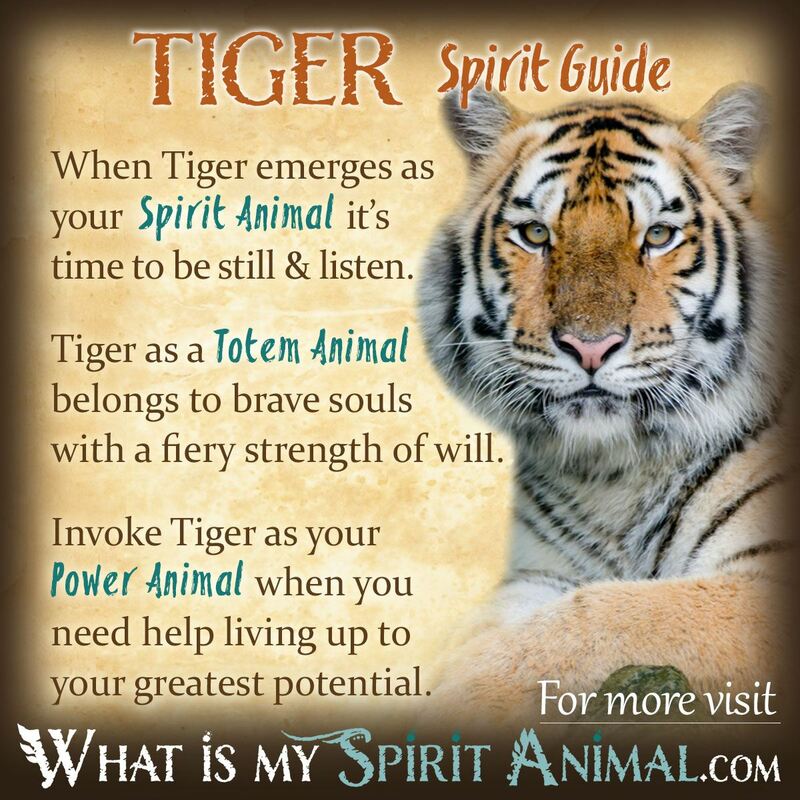 Call on Tiger as your Power Animal when you need renewed confidence. There is nothing uncertain with Tiger energy and medicine – this cat is the perfect embodiment of elegant power. As Tiger energy guides she teaches self-actualization – you begin to feel comfortable in your own skin and even revel in it. That is why Tigers often come to those who have poor body images or love self-esteem. In terms of spiritual growth and awareness, Tiger is all about keeping your eye on the prize. Whatever your goals are energetically, Tiger as a Power Animal provides tireless discipline and energy. From a Shamanic standpoint Tiger symbolizes healing, the immune system and clearing environmental toxins from your system. As Tigers are not indigenous to the Americas, no accounting of them is found (that I know of) in Native American lore and legend. Though the Celts did not speak directly of Tigers (that I could find), there is mention in some texts of “great cats”. Dreaming about Tigers often represents your personal will. Tigers confront challenges, so Tiger dreams could be a sign that you are literally being advised to find that “tiger’s fighting spirit”. Running from a Tiger symbolizes hiding from an emotional situation or personal longing. Learn more about Tiger Spirit by reading Dreams About Cats: Tiger Dreams on WhatIsMySpiritAnimal.com! one day, we and my family were at schlitterbahn and i saw a tiger scratched out of the paint. it had an aviator goggles and a scarf on. no one else saw it. what does it mean, i wonder. i have always wanted to fly a plane, though. Sooo… My “spirit animal is an owl”. Anyway; with that being said the last three nights in a row, I’ve had the same bad dream… I dreamt of me in the most comfortable spot ever (a family function aka a party) anyway it starts out at as going good when out of this wooded like alley/ lot; a camel comes running out first, then a fully grown moose, and last but not least a roaring tiger. The camel runs left and the moose runs right with the tiger chasing behind it. When all of a sudden it stops chasing the moose and slowly walks to approach everyone of us behind a gate meant for cattle when it sits down and stares directly into my eyes and I wake up. What does this mean??? Hoping, it’s not as bad as I’m thinking..